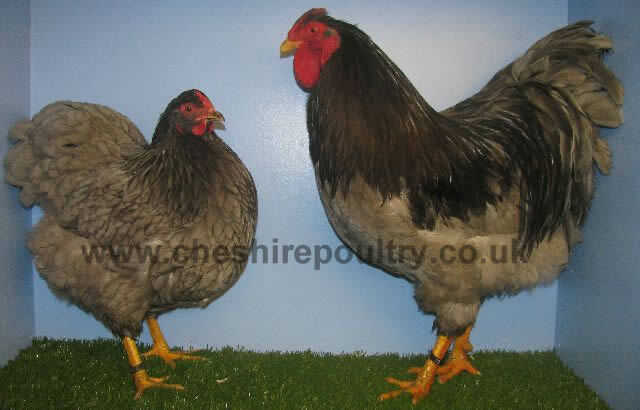 These birds were sourced through Grant Brereton, a top breeder for Blue Wyandottes in the UK. 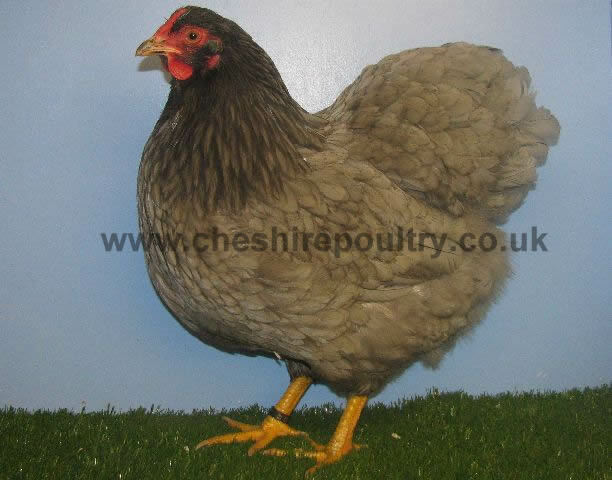 We are a member of the Wyandotte Club and keep abreast of all the latest news regarding this breed. 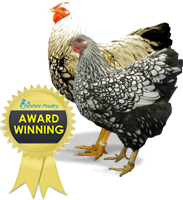 This helps us maintain our high standards and great show results with this breed. 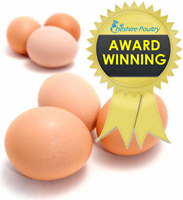 You can also become a member of this club for under £10 per year. By joining you will receive an annual newsletter and year book. 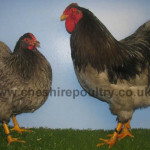 You will also receive a Rules and Standard for breeding quality Wyandottes, a members list, history of the breed information and this way you will be helping to encourage and improve the breeding of Wyandottes for exhibition and utility purposes as well as having access to assistance from expert breeders. 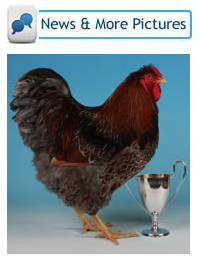 The club will keep you posted with all the latest information and show results regarding this breed. For more information on how to join contact us. Origin: Ohio, USA. 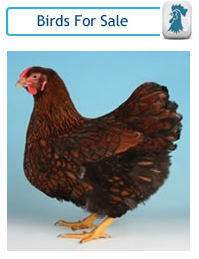 In 1977 this breed was admitted to the American Standard. 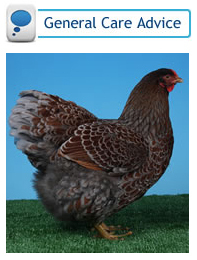 General Characteristics: Graceful, well balanced, alert and active but docile. Head: Short and broad. 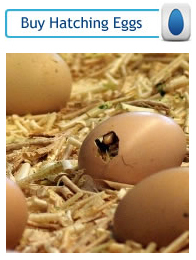 Beak is stout and well curved. Eyes are prominent. 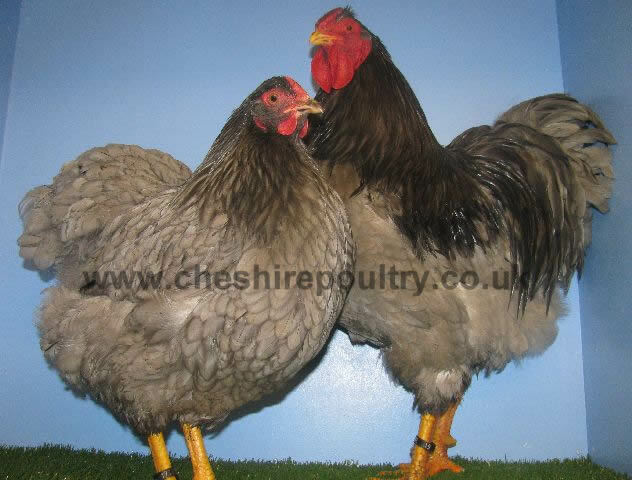 The comb is rose coloured and evenly set on the head being medium in height and width; gradually tapering towards the back and terminating in a definite spike (leader) which follows the curve of the neck. Face is smooth and fine in texture. Ear-lobes are oblong. 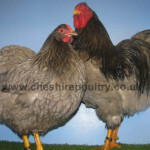 Wattles are medium length and fine in texture. 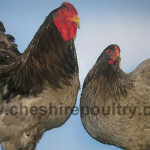 Neck: Medium in length and well arched with a full hackle. Colour: One even shade of blue, light to dark, but medium preferred; a clear solid blue, free from mealiness, ‘pepper’, sandiness, or bronze, and quite clear of lacing; a ‘self colour’ in fact. 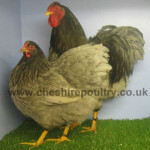 Exhibition and show stock quality Blue Wyandotte hatching eggs for sale from Cheshire Poultry. 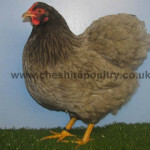 Cheshire Poultry specialise in providing Blue Wyandotte hatching eggs that have a fantastic fertility record. 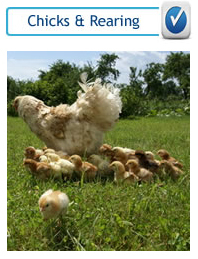 You can buy Blue Wyandotte Eggs online. 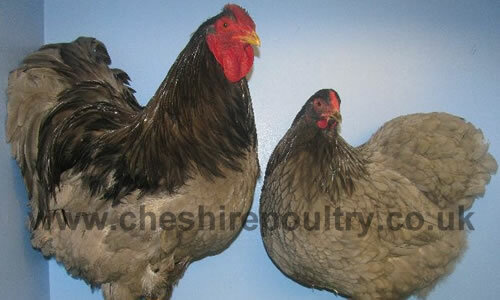 Exhibition and show stock quality Blue Wyandotte Chickens for sale from Cheshire Poultry. 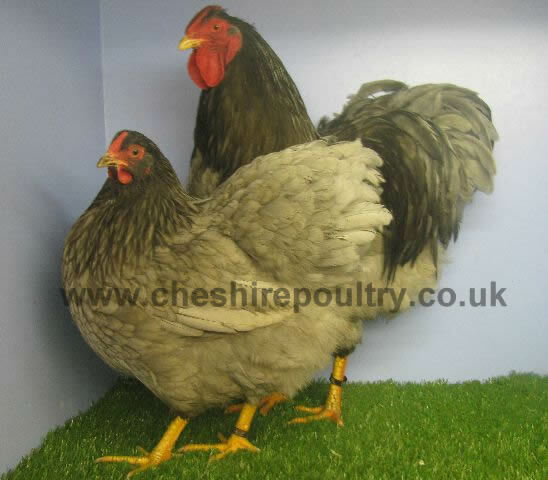 Cheshire Poultry specialise in providing Blue Wyandotte as live birds for sale bred from some of the top poultry breeds in the UK and Europe. 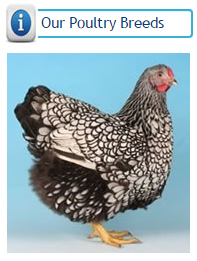 Buy Blue Wyandotte chickens.